This Mirror is part of our Highpoint & Thomasville Collection. 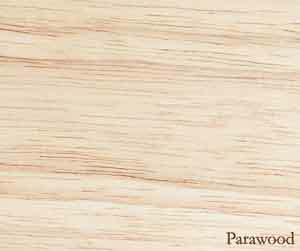 It's made from parawood, an excellent hardwood that is guaranteed to last. Its simple clean lines comfortably compliment other existing furniture you already own. Finish: This piece comes unfinished or choose from our classic stain finishes.